The first part of the year was probably the worst for me. Just before Christmas we said goodbye to our beloved Westie Cassie, who had been our family pet from a pup, and we were still finding it really difficult to come to terms with losing her as 2019 started. I did celebrate my 25th birthday in January though, and this kind of felt like a turning point for me, and a bit of a milestone in my little life. To be honest I was really apprehensive about turning 25, I always thought I’d have my life figured out by the time I reached this age. 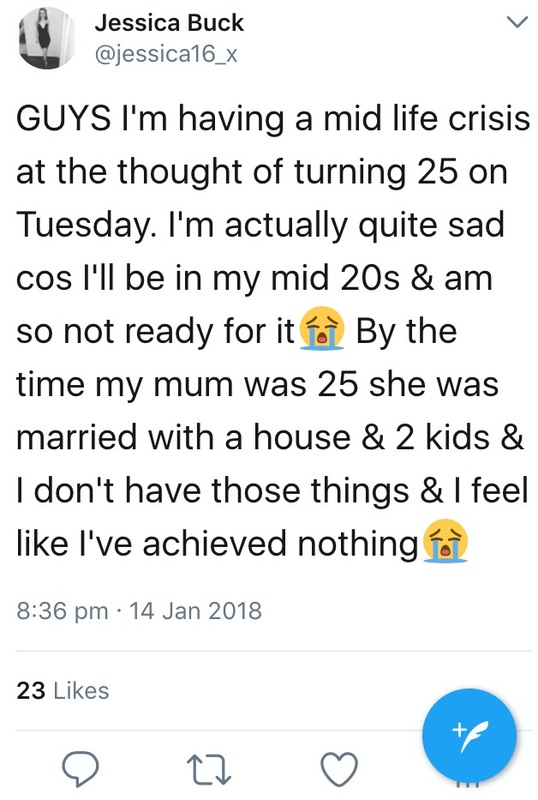 I thought I’d have a house and kids and a husband, just like my mum and my nans did, and the fact I didn’t have any of these things made me reaallly sad, so I felt like a bit of a failure. I got over it though, and made myself realise that things are so different nowadays, and that I should be proud of the things I HAVE got, not what I haven’t got. February was a pretty quiet month, I spent most of it at home seeing friends and training for Mount Snowdon, which I was due to climb in June. I also spent a weekend in Essex seeing my nan which was really lovely, especially as she became poorly in March. The start of March wasn’t too exciting, but I had a great end to the month as my sister and I went on a European inter-railing trip together and had a brilliant week away. We spent the Easter weekend in Paris before heading on to Luxembourg and Bruges where we had a really lovely time exploring new cities and enjoying allllll the French/Belgian food and drink. Sadly a week after we returned from our trip we received the devastating news that our grandad had passed away after a long battle with Dementia. It didn’t necessarily come as a shock to us as he had been unwell for some time, but that still didn’t prepare us for the grief that we would feel in the days and weeks to come. 2 days later, my nan was taken to hospital after she had heart problems. Fortunately my dad was with her and paramedics were on the scene quick enough to help her, but I was convinced that we were going to lose both my nan and my grandad within a matter of days. It was horrendous but my family were amazing and we got through it together. It’s still hard even now, 9 months on, and I think about my grandad all the time, but I know he is at peace, and I hope he would be proud of who I have become. At the end of April I took my little sister on her first city break as we went to Pisa and Florence for a long weekend. I was lucky enough to win a raffle prize at work and got to stay in one of our amazing villas which was a fantastic experience, and this little break away after a tough few weeks was sooo needed. We had a great time visiting the famous Leaning Tower and enjoying all that Florence had to offer, so it definitely took our minds off the sadness that had been happening at home. May saw the date for my grandad’s funeral, which was a really difficult day, but we remembered his life in our own special way and made it a celebration. The sun shone and it was a really hot day – he would have loved that, he absolutely lived for the heat and warm weather! I wrote a poem which I read out at the service; at one point I didn’t think I would be able to do it but I found the strength from somewhere and was able to deliver. We cried a lot, but we got through it, it was the perfect send off for an incredible man. Unfortunately a week later I ended up in hospital myself as I had an unexpected haemorrhage and suffered from some external bleeding. It was really scary and I had no idea what was happening, but the doctors who looked after me were brilliant and I was back home later on that evening. A week later I was back to my usual self and spent the bank holiday weekend running around Amsterdam and Rotterdam whilst exploring Holland for the first time. I was in the country to attend my 3rd annual Traverse conference in Rotterdam but was glad I tagged on a day in Amsterdam at the start too – I was reunited with one of my fave travel buddy’s Rachel and we had a blast! At the end of June I took on my biggest challenge yet as I set out to climb Mount Snowdon with 55 others as part of a fundraising event for The Pituitary Foundation, the charity I am extremely proud to be an ambassador for. We had the most incredible day and ended up raising over £25,000 collectively which is an absolutely AMAZING achievement. The climb was one of the highlights of my year and I’ve already signed up to do Ben Nevis next May… wish me luck! July brought us a heatwave AND the World Cup which was the best combination for us Brits! What a rollercoaster us footy fans had as we watched our team get to the semi-finals of the biggest sporting competition on the planet. My summer evenings were spent watching the games on big screens down the pub and dancing on tables when we scored! 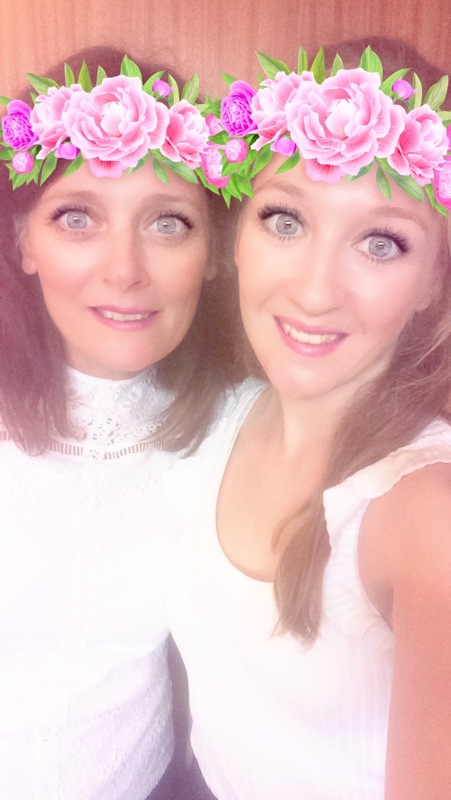 July also so me heading to London with my mum to watch Michael Buble in concert (our fave) and my lovely nan came down to visit for the first time since my grandad passed away so it was great to spend some quality time with her. Unfortunately a few weeks later I became unwell again after I passed out at work and was taken to hospital on the back of an ambulance – I had suffered from a nasty bout of gastroenteritis and had no idea what was happening to my body, but again the NHS staff at my local hospital were amazing and I was back to normal a few days later. I also went on a blind date that was set up by Heart Radio a couple of weeks later, and that was certainly an experience!! August was the month I was most looking forward to this year, as I was due to set sail on my first ever cruise with 12 of my family members and I don’t think I’ve ever been so excited for a holiday! We had an absolute blast exploring 5 countries and 7 cities over 7 days as we visited Croatia, Montenegro, Greece, Italy and Malta. I totally fell in love with cruising – it has definitely opened my eyes to a new way of travel and I already can’t wait to book my next one! My mum celebrated her 50th birthday in September and we had an amazing day out in London, taking her to Kensington Palace to see the Princess Diana Exhibition (her idol) before heading over to the Sky Garden with incredible panoramic views over the city below – she had a brilliant day out and it was so nice to spend some quality time together as a family. At the end of September my best friend and I took a spontaneous road trip to Bournemouth to celebrate the last weekend of summer. We were so lucky with the weather and spent 2 days enjoying the beach, the pier, the arcades and everything else in between. It felt so nice to have one last ‘holiday’ before autumn came and it made me realise how beautiful some parts of the UK really are when you get the right weather! After leaving Bournemouth we headed over to Lulworth Cove and Durdle Door for a day of hiking between the two and I was sooo sad to leave this pretty part of the world so am already planning to return next summer. October brought colder weather and some family time as I spent a weekend in Liverpool at my cousins baby shower, it was my last chance to see her and bump before she was due to pop in December, and we had a really lovely weekend. I also had lots of fun over the Halloween weekend as I fulfilled my life-long dream of becoming a mermaid (well a fancy dress one) as I hosted a spooky themed party at my house. By the end of the month I was ready for allllll the fireworks show as I looked forward to saying goodbye to October and hello to November. I was fairly busy in November, with fireworks events and lots of autumnal fun with friends. I headed to London to watch Ed Sheeran and Olly Murs in concert – they were amazing – and stopped off at Westfield for some shopping. I did grown up things like submit my annual tax return and move some money around in my savings – I’m putting away a decent amount of money from my wages each month so that I can look to buy a house in the next few years, which is overwhelming, stressful and exciting all at the same time! Probably the single biggest thing I did in November was attend WTM London, where Journeys with Jessica was given its very own stand for the first time ever! I had such an amazing time at the biggest travel conference in the world and learnt so much, as well as getting my blogging mojo back after a few months of feeling like I didn’t really belong in this industry. I was invited along to the VIP press launch of Christmas at Blenheim at the end of the month and took my mum with me for a wonderful evening of festive fun. December isn’t over yet but so far I’ve done work parties, theatre evenings, nights out and Christmas markets. We are off to Somerset for a new year’s break with the family next week so, although we are having a quiet Christmas at home, I’m really looking forward to ending 2018 and starting 2019 on a high. Visit at least 5 countries – SUCCESS – I managed to get myself to a whopping NINE countries this year, which is almost double what I set as a target so I am really pleased that I’ve done so well on this one. My cruise made it super easy as I actually visited 5 countries in just 1 week, and whilst I was out there I hit my 25th country as well which was an incredible feeling! Roll on the next 25! Reach 10,000 followers on social media – FAIL – Sadly I didn’t reach the big 10k this year, but on my last count I was up to approx. 8700 followers across all platforms, so I am so close yet so far! This is a goal I will try to re-aim for next year, but I’m not going to put pressure on myself to reach it by a certain time frame; what will be will be! Spend less time on social media – SUCCESS – I feel like I’ve done quite well at this one this year. I obviously do still spend a lot of time online in order to promote my blog, but I wanted to cut down on scrolling and wasting time being unproductive, and I definitely think I’ve done that. Turning off all my notifications have helped, and I’ve set a time limit of 25mins per day on each app which has made an improvement too, so it’s small steps but I’m definitely going in the right direction! Work on new projects for The Pituitary Foundation – SUCCESS – I am so proud to be an ambassador for this fantastic charity, and 2018 was the year I really challenged myself and put more effort into this. Climbing Mount Snowdon with Team Pituitary was one of the biggest achievements of my life, and I couldn’t be more proud to be a pituitary patient! Roll on Ben Nevis next May! Incorporate exercise into my weekly routine – SUCCESS – I have got better at this as the year has progressed, and am proud that I am now working out three times a week compared to doing virtually nothing (other than walking for an hour each day) at the start of 2018. Don’t get me wrong, I still HATE the gym but I do my workouts from home so that I can overcome this, and I don’t work out to lose weight, I just do it to feel good about myself. Grow my blog as much as possible whilst working full time – FAIL – I kinda feel I haven’t done this very well this year. Yes my followers have grown and I have taken on new opportunities etc, but I haven’t been on a single press trip this year and, in my eyes, that makes me feel like a failure. I see bloggers left right and centre being paid to go on trips and I’d be lying if I said I wasn’t jealous, but I guess nothing right has come up for me this year. WTM felt like a turning point as I got my blogging mojo back and definitely felt more inspired after making new contacts, so I’m looking forward to seeing how things go in 2019 for me. Not sure where to start with this one, but what I do know is that I want 2019 to be my biggest and best year yet. I want to travel more, learn more, and be more spontaneous. I kinda played it safe this year as I struggled to come to terms with feelings of grief and uncertainty, but I really want to start next year differently and I want to push myself out of my comfort zone. I’m not sure where life will take me next year, but I’m currently setting some plans in motion ready to make 2019 really special. I’ll probably write a separate post in January with regard to my 2019 New Year’s Resolutions, but I am trying not to make too many promises to myself as I get older and as I learn to be more content with life. I’ll see what happens over the coming months, but watch this space for lots of new things coming soon to my little life, and to Journeys with Jessica! Wishing you all a very Merry Christmas and a Happy and Healthy New Year – thanks, as always, for continuing to share this little square of the internet with me – your support has been invaluable this year! My first trip of 2018 will take me to the City of Love, beautiful Paris, somewhere I’ve been before but only for a day trip and I absolutely cannot WAIT to go back! I spent my first visit running around like a headless chicken trying to see the sights and tick off as much as possible, but there is SO much to see and do that it obviously can’t be done in such little time. I’m heading to Paris at the start of April with my sister as we hop on the Eurostar from London and embark upon an inter-railing adventure that’ll take us to France, Luxembourg and Belgium. I actually haven’t left the country since going back to full time work in September and I am literally just itching to get away with every day that passes. Kick-starting my inter-railing adventure in Paris will be so much fun, and a great start to the trip. We’re staying close to the River Seine and the Notre Dame, so we are hoping to tick off those as well as wander down the Champs Elysee, see the Arc de Triomph, climb the Eiffel Tower and visit The Louvre, the Sacre Coeur and the Moulin Rouge too. I cant wait to get back to the French capital and I couldn’t think of a better place to kick off my 2018 travel plans. After visiting Paris and Luxembourg, the third and final stop of my inter-railing adventure will be the fairytale Belgian city of Bruges and I am equally as excited for this place as I am for Paris. There’s just something about Bruges which looks so magical, especially the gothic architecture, the picturesque river and the vibrant market square. We plan to hit up the museums, wander along the river and check out the historic buildings including the City Hall, Belfry, Basilica of the Holy Blood Church and St Salvator’s Cathedral. We’re going to be eating copious amounts of crepes and waffles and chocolate whilst we’re there and plan on doing this every single day! We’re also hoping we might be able to squeeze in quick day trips to both Ghent and Brussels too whilst we are on the way back to London via the Eurostar, as I’ve heard great things about both cities and it’s always nice to tick even MORE things off my ever expanding bucket list! After spending a week inter-railing in April, my next trip at the end of May will take me on my first visit to the Netherlands and I’m looking forward to visiting my 23rd country! I’ll be in Rotterdam for 3 nights for the annual Traverse conference, a fantastic event which connects brands and bloggers from all over the world. The final schedule for the conference hasn’t been released yet, but I’ll be at the opening party on the Friday night, then at the conference all weekend before flying home on bank holiday Monday. I haven’t heard a lot about Rotterdam so I have no idea what to expect but I know it’s a super cool city with lots to see and do. I’m actually using the Eurostar AGAIN on this trip as I’ll be spending one day and one night in the Dutch capital of Amsterdam before heading over to Holland’s second city. I have wanted to visit Amsterdam for soooo long and I’m super excited I’ll be there this year, even if it is only for a short amount of time! I’ll be having a few months break in between my trips in May and then subsequently in August, when I’ll be taking my first EVER cruise! Ahhh I’m both nervous and excited in equal measure as I get ridiculously travel sick (especially on boats) but I’m hoping that the ship will be so huge I won’t feel anything and I’ll be completely fine… *fingers crossed! * My cruise is a trip around the med and, after starting in Croatia, I’ll be heading to Malta, Sicily, Greece and Montenegro. I am so intrigued as to what the cruise will be like and how I will find it, especially as I’ve never spent any length of time at sea before! I’m looking forward to lots of sun, sea, food and drink though as I spend a whole seven days relaxing. Kicking off in Croatia will be wonderful and Dubrovnik, with its ancient city walls and historic buildings, is somewhere I’ve been dying to visit. The second stop of my cruise will the Maltese capital of Valletta and I’ve heard so many great things about this place. Listed as the 2018 European Capital of Culture, I think Malta is seriously underrated and is the perfect place for a quirky, alternative city break. Like with most of the places on my cruise, I only have one full day to explore but I’m definitely going to walk around the city walls and see as much as I can. There will be sun, sea, history and culture aplenty in Valletta and it’ll be another new country for me to tick off too. My cruise is a family holiday with 13 of my crazy family members and I am sooo excited for us to all be together and make tonnes of new memories! The Greek party capital and somewhere that is fast becoming the new Ibiza, Mykonos is Europe’s answer to paradise. With it’s crystal clear turquoise waters, white sand beaches and endless infinity pools, Mykonos has it all. Since starting my new job as a villa rental co-ordinator, Mykonos is one of the destinations I look after and I’m hoping that I might be able to go on a fam trip to the island this year to inspect our existing villa portfolio. There’s something about the Greek island that just screams luxury and I would love to spend a few days exploring the island and seeing what it has to offer. Spectacular sunsets are on the cards most evenings, and I know Mykonos is famed for its rocky landscape too. Here’s hoping I can take a trip to this pretty place at some point during 2018, if work allows me too of course! The Portugese capital of Lisbon is somewhere I was supposed to visit a couple of years ago, but sadly I never got round to booking my flights and it just didn’t happen. My parents actually met on holiday in Portugal over 25 years ago, when they were both young and carefree and enjoyed a real life holiday romance (it lead to marriage and three kids, so it does happen guys!) so I think I’ve wanted to visit Portugal for a long time. Lisbon looks super cool, unusual, vibrant and I’m sure there’s plenty of history to uncover too. I’ve also heard it’s got a brilliant foodie scene and I think it’d be a great place to go for an autumnal city break later on in the year. Although I don’t have any firm plans to visit Lisbon yet this year, I always see cheap flights on Skyscanner and I’m sure I can squeeze in a cheeky weekend away before the year is out! NB. This post was brought to you in collaboration with Destinations2, but as always all thoughts are of course my own. 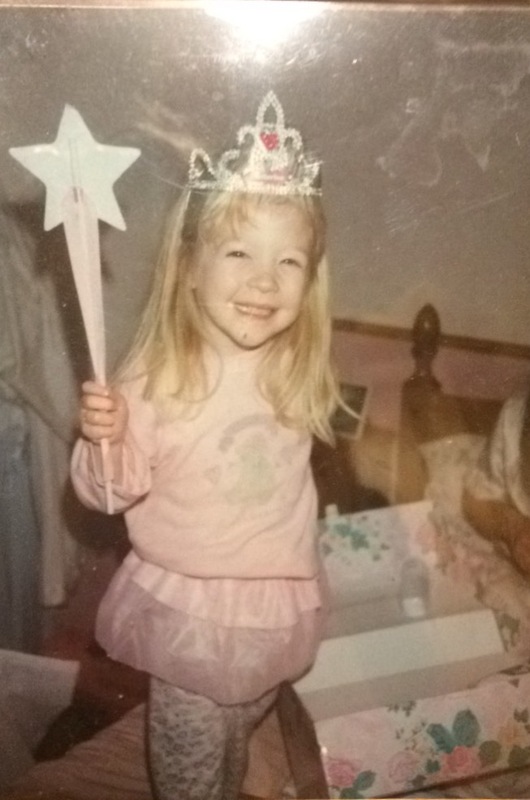 So tomorrow is my 25th birthday. The big 2-5. Halfway to 50. Officially in the mid 20s. When the hell did THAT happen?! It only seems like yesterday I was running around in nappies, or running to get the school bus cos I was late, or running out of a club at the end of a night out as celebrated numerous birthdays past the age of 18. It’s true what they say, time goes by so fast, and I notice it more with each year that passes. Im usually excited about my birthday, I am excited about tomorrow as I’ve got an amazing day planned with my friends and family, but the age thing is really getting to me this time round. Last night I had a bit of a rant on Twitter – I was actually crying as I posted the thread – and I got a few things out my system. By the age of 25, I always thought I’d have my life figured out. I thought I’d be married, or at least engaged, and I thought I’d have had my first baby by now. I thought I’d have bought a house, got on the property ladder, put down some roots. I thought all of these things because that’s what my mum did, and my two nans, and my aunties. By the age of 25 they’d all got married and had two kids. They’d bought a house, they had a family, and they were happy. I look at what my mum had and compare it to what I’ve got now and I just feel so incomplete. I don’t fit in to what she did, in fact I’ve never felt further away from it in my life. I’ve not met anyone I want to committ to, I’m nowhere near ready to buy a house and I’m definitely not close to having kids and that’s something that upsets me the most. Anyone that knows me will know that all I’ve ever really wanted to do in life is be a mum, and being so far away from that life at the moment is something that plays on my mind daily. All my friends are either married/engaged/in long term relationships. Most of them have bought houses or are renting together and are either expecting children or are parents already. I’m so so different to them and it scares me. Yes I love my little life and travelling has and always will be my passion, and I’m so happy I can just hop on a plane without having to take a buggy or a changing kit with me, but deep down I know all I want is to have the family life my mum had and still has. A lot has changed for us girls in the past 25 years. We have more opportunities now, we work more, we travel more and we see more of the world. I love that, and I’m proud to be born into an era where those things are normal. Looking at what I have achieved in my short 24 years on this planet does make me proud – I’ve ticked so many incredible things off my bucket list, bought 2 cars, built a career for myself and my blog and become a charity ambassador too. I’ve travelled by myself, made friends with strangers, faced my fears and pushed myself to the limit and I’ve done all those things with enormous pride and happiness, but I still feel apprehensive about turning 25 tomorrow for all the reasons I’ve mentioned above. So all in all I am looking forward to having a nice day with my nearest and dearest tomorrow, but I’m scared because I just don’t want to be another year older, and another year further from all the things I thought I’d have by now. Does anyone else get the quarter life crisis/ mid 20s anxiety? Quite a lot of you tweeted me yesterday after I had my little Twitter rant and your comments meant so much to me. Let me know if you’re feeling the way I’m feeling right now – it would be nice to know I’m not alone! stop buying scratch-cards (SEMI-FAIL) – these two were harder than I thought! I’m really proud that I managed to achieve most of these things within a year, and even more so that I managed to surpass my expectations by visiting 11 countries instead of 10, got a part time job to run alongside my freelance business and then landed my dream full time position and started my career in the travel industry, and grew my blog to the biggest it’s ever been, going on press trips and working with some incredible brands. Last year I was lucky enough to visit a whopping 11 countries as I embarked on my greatest year of travel yet as a full time blogger and freelancer, but this year I have annual leave restrictions that I need to be careful of, so that will definitely impact on how many trips I can take! I’ve already got two trips planned and am in the process of planning a third which will take a few weeks to get organised. My first holiday will (hopefully) be an inter-railing trip starting in Paris and Luxembourg and ending in Brussels and Bruges – I’m really excited to go inter-railing for a third time and can’t wait to finalise everything for this week-long European adventure with my sister! I’m then going to be hopping over to Amsterdam and Rotterdam with some of my fellow blogger friends for my third annual Traverse conference and I’m soooo excited that it’s going to be held outside of the UK this year for the first time ever! My next holiday will be a cruise round the Mediterranean taking in the sights of Croatia, Malta, Sicily, Greece and Montenegro. I’ve never been on a cruise before and I’m nervous/excited in equal measures but can’t wait to see how the week unfolds, and I’m going with 13 of my crazy family members, so whatever happens I’m sure it’ll be a week to remember. I’m sure that more last minute trips will pop up over the course of the next 12 months, but I’ll definitely be making use of my weekends off as well! This is going to be a HUGE milestone and I really hope that it’s something I can achieve within the next year. Currently, I have 4200 Twitter followers, 1800 on Instagram, 600 on Linked In and 540 on Facebook, so I’ve got a long way to go before I hit my target of 10,000! I do think it’s going to take a lot of effort and hard work to get it done, but I love a challenge and am determined to make this happen, plus my stats on my media kit are going to look pretty damn good if I finally reach the big 10k! Ok, ok, so I know this is massively contradictory to my last resolution, but I want to try and spend less time on social media on a personal level, although I want to grow the followers for my blog as much as possible. I have a constant obsession with logging on to my apps, refreshing the news feeds and scrolling aimlessly for hours, consuming irrelevant content about things which mean absolutely nothing to me. It’s something we are all guilty of, but the constant scrolling is what really gets me down and I know I really need to stop. I’ve made a good start by deleting my apps and muting all of my notifications, so now I only get bothered when someone texts or calls me! My accounts are still active but I’m going to try and post less and, in turn, scroll less too. I also want to read more books and so, whenever I get the urge to scroll during the ad break of my fave TV show, or during a quiet 5 minutes on my lunch break, I’m going to read chapters of my books instead and keep my mind occupied on something more productive. As part of my role as an ambassador for UK charity The Pituitary Foundation, I’m trying to raise as much money and awareness as I possibly can for an organisation which has been hugely important to me since my own prolactinoma diagnosis back in 2011. I became an ambassador last summer and have already taken part in a fun run, national newspaper campaign and a Go Orange event in order to raise awareness of the charity. This year I’d like to step it up a notch and get more involved, take part in more events and raise even more money than I ever have done. 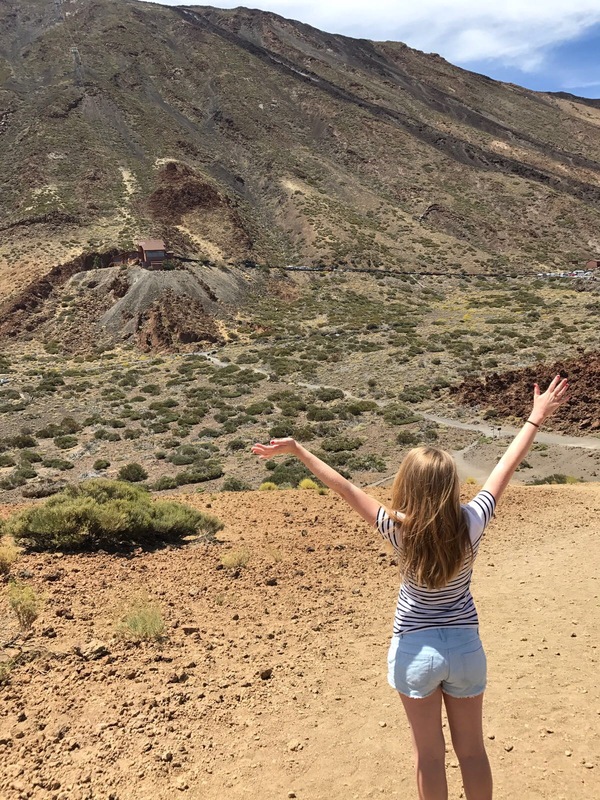 My plans include another fun run and Go Orange day, as well as a summer fete and a hike up Mount Snowdon as I aim to challenge myself as much as I can. More details will be emerging when I have them, but for now please wish me luck! I’ve only been able to do this one since I went back to full time work at the end of last year, but in October I opened a Help To Buy bank account as I aim to start saving for my first house. It’s going to take me a good few years to get a deposit behind me, especially as property prices in my local area are ASTRONOMICAL, but if I can try to save at least £500 every single month then I’ll stand myself in good stead going forwards. Since landing my dream job I’m starting to feel really settled and really positive about creating a stable future for myself. Don’t get me wrong, I’m not going to stop travelling and I’m certainly not ready to get married and have kids, but I just want to give myself the best future possible and saving lots of money will definitely help me to achieve that. Exercise is something I have ALWAYS struggled with, I hated P.E. as a child and my idea of increasing my heartrate was standing at the back of the rounders pitch having a good gossip with my school friends and doing a few star jumps! As I’ve got older my attitude has changed a little, but I still feel faint at the idea of even going in to a gym, let alone doing a full blown workout. I do however really enjoy the gym once I get some blood pumping, but it’s the idea of going that makes me feel really demotivated, and maybe it’s because I’m a little intimidated by all the amazing girls and guys who go and look like their professionals. I’m going to start doing a small workout at home once a week though to improve my fitness, and my core strength. 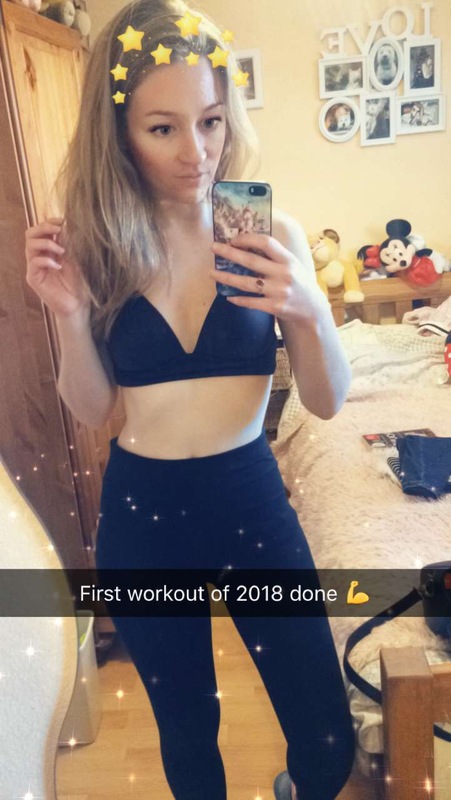 It’s not about losing weight or toning up, I think I just want to feel good about myself again and I know how much exercise can do for your mental and physical health. Here’s hoping I can do at least one workout a week to help with this – plus daily walks too! I’m hoping to smash this one as I’ve already had a positive start to the year, but the first few months of being back to full time work meant that my blog really took a back seat at the end of last year. I was just so exhausted doing 40 hour weeks, plus 2 hours of driving a day, and didn’t want to do anything other than watch telly and get into bed during my week night evenings, and my weekends were for catching up with friends and making exciting plans. I also lost my beautiful dog Cassie at the end of last year and this had a massive impact on my motivation to do anything productive. 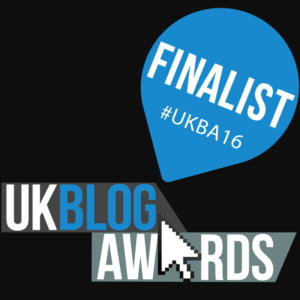 If I’m honest, I barely slept or ate, let alone found the time to blog, and it did affect me. I was totally consumed by grief and loss, which is something I had never experienced before. But with the start of a new year comes new positivity and I’m really excited to throw myself back in to my blog and make proper time to publish regular posts, grow my followers and keep up my social media statuses. I’ll probably schedule in one evening a week and one day of the weekend to dedicate time to my blog and I’m hoping to stick to it over the coming weeks. I like to think that these resolutions are all achievable and are all things that are going to enhance my little life over the next 12 months, and I’m feeling more motivated than ever to make this another incredible year. In addition to these resolutions, I’m also hoping to make more time for myself and put myself first. Little things like having a bath, popping on a face mask or reading a book will all help to give myself some well deserved ME time and I intend to do this a lot in 2018. Do you make New Years resolutions? Do you ever stick to them? Here’s hoping I achieve mine – happy new year everyone, wishing you all a successful, healthy and happy 2018!